Suppose the way your transport system looked was just as important to you as the way it functioned. Not more important, you understand, but equally important. And then suppose that you were in competition with a rival transport company which thought exactly the same thing. And finally, suppose that the end result was that you entered into an art race (rather than an arms race) in which the attractiveness of your transport system was just as much an enticement to potential travellers as all the normal operational factors like frequency, reliability and punctuality. That would be a (literally) beautiful world in which to travel. It’s so rare these days for the way transport looks to be considered as being as important as the way it works. I’m about to go on a rant again, so if you just want to see this week’s beauty of transport, skip this and the next three paragraphs. It’s only fair to warn you. Somehow, in many countries (but the UK is a particular offender) we have misunderstood the fact that passengers think reliability and punctuality are the most important drivers of satisfaction with their public transport experience, to mean that they don’t care about how their transport looks. That suits the engineers and the accountants, who don’t have to worry themselves with airy-fairy ideas about attractive design and branding (which they find hard to run the sums on anyway to judge its contribution to the bottom line). Some brave UK companies have bought into the concept that to make the most marketable product, their operations should not only work well, but should look well. They’re often the ones that have employed design agencies like Best Impressions. But even at those companies, the attractiveness can be a bit patchy. South West Trains might have employed Best Impressions to design their train livery, and they might have arguably the most attractive timetable leaflets in the transport industry courtesy of Tandem Design, but dear me, their trains have front ends nearly as plonky as something the Southern Railway might have come up with in the 1930s. The Southern Railway was famous for the non-design of its electric trains, with a ‘design’ philosophy that went like this: let’s get a carriage and cut holes in the end of it for drivers’ windows and, well, that’s it. Pipework? Just hang it on the ends, anywhere you like. Livery? Any colour you like as long as it’s green, oh, and make sure it’s plain green, none of your fancy lining-out. Interior lighting? Bare lightbulbs will do just fine. Sliding doors – you what? Whacking great hinges and a handle please, and you’ll need to lean out of the window to use the handle, thanks. South West Train’s fleet of Desiro trains (delivered in the early 2000s) take this dubious heritage and apply it to their front ends: a couple of windows, some lights plopped down seemingly wherever the designer fancied on the day, while the anti-override ‘buffers’ (those corrugated things at the bottom) aren’t even covered with a fibreglass fairing (British Rail had got that sorted by the 1990s). You can see one here. Meanwhile, inside its suburban trains, South West Trains specified a brilliant refurbishment job, also early in the 2000s. But somehow it forgot to get anything done about the ceilings, so the internal lighting is provided by bare flourescent tubes which look, frankly, terrible. The train manufacturers and refurbishers don’t seem to be on the same page as the rest of South West Trains. Engineers, you see, they don’t like airy-fairy stuff. The point of this rant is to illustrate that it’s actually not very common these days for the way transport looks to be considered an important part of the operation in the UK (though London Underground marvelously bucked the trend in the late 1990s with the Jubilee Line Extension featuring stations like Southwark). The idea that you might try to upstage the design aesthetics of a competing transport operator as part of your overall offer is nigh-on unheard of. So, rant over (welcome back, rant-skipping readers), I will instead take you to Paris in the early twentieth century, where the Société du Chemin de Fer Électrique Nord-Sud de Paris (or Nord-Sud for short, thank goodness) squared up to the Compagnie du chemin de fer métropolitain de Paris (CMP) to build rival underground railway lines across Paris. And given that that meant taking on the people who had employed Hector Guimard to design the famous Art Nouveau station entrances (which we looked at a few months ago), that was quite some undertaking. That it ultimately failed to win the art war in the Paris underground overshadows the Nord-Sud’s design achievements to this day. 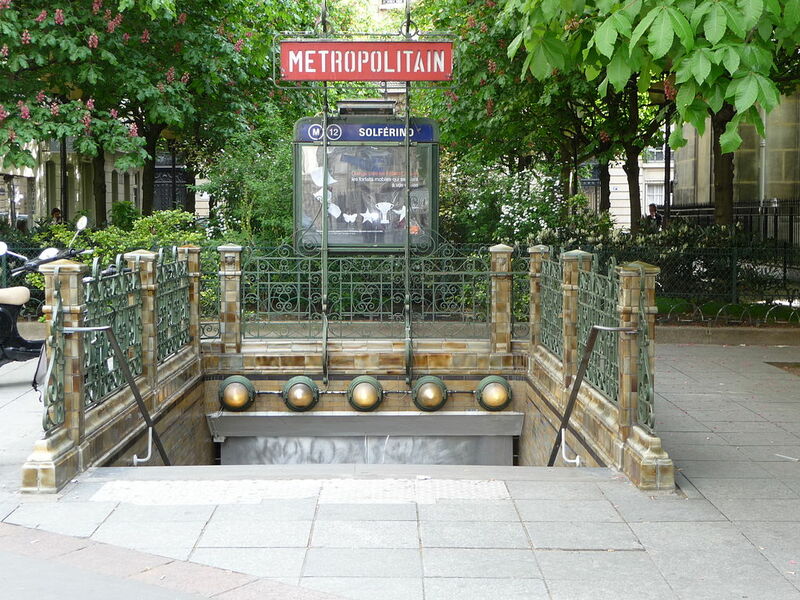 It is Guimard’s Art Nouveau Métro entrances that now define the Parisian urban transport experience. But had the CMP employed a lesser designer, it might well be the Nord-Sud’s work we regard as the go-to classic piece of underground metro transport design. Yet today, hardly anybody really mentions the Nord-Sud’s design work. So I’m going to put that right. 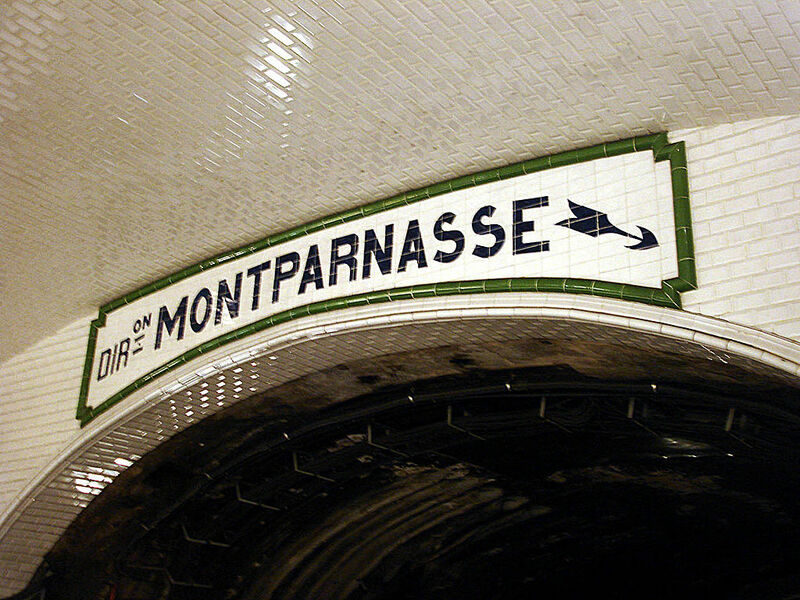 The CMP’s lines started to open from 1900, complete with Guimard’s Art Nouveau entrances. The Nord-Sud came along several years later with a plan to build three lines. Lines A and B opened in 1910 and 1911. In taking on Guimard and the CMP, the Nord-Sud employed architect Lucien Bechmann (1880-1968). He had studied at the School of Fine Arts in Paris, and had been responsible for some notable buildings around Paris. But it’s also highly probable that the reason he got the job of designing the stations for the Nord-Sud was because his father was the Nord-Sud’s chief executive. Hideously nepotistic it may have been, but Bechmann (the younger) set about his task with efficiency and verve. Like the CMP’s stations, ticket halls were under the ground, rather than in surface buildings, so on-street structures were small. As you can see, the Nord-Sud’s station entrances were fairly nondescript, with cast iron railings (nothing as fancy as Guimard’s triffids), and ceramic tiling on surfaces. Bechmann loved his ceramic tiles though, much as his near-contemporary Leslie Green did in London, and it was under the ground that he really went to town. 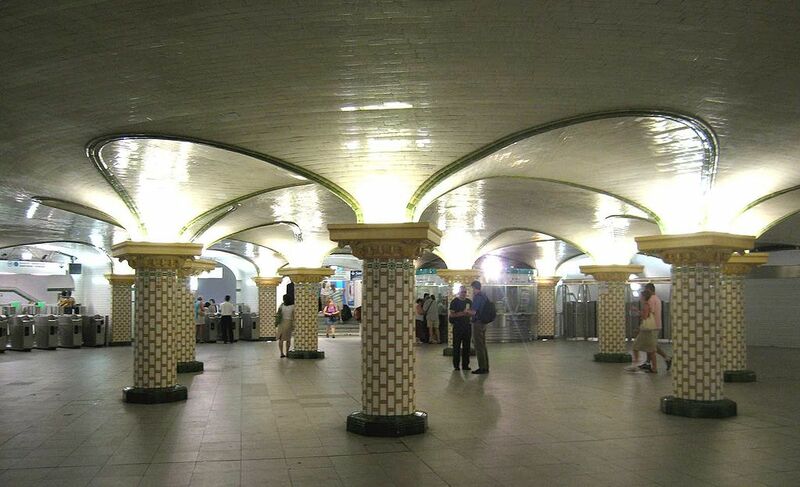 The CMP’s stations had a quite distinct profile in the platform tunnels (they’re a sort of squashed oval tube) with the walls/roof (it all blends into one) decorated in bevelled white tiles. The Nord-Sud’s stations on the other hand were taller because the trains originally collected their power from overhead wires rather than ground-level electric rails. That instantly gave them a bit more visual heft, and while Bechmann used bevelled white tiles much as the CMP did, he didn’t stop there. The CMP, you see, used enamelled station name plates. Pfft! said Bachmann, with the Gallic derision that only a French architect can muster, we shall use ceramic tile mosaics for our station names. And we will make them MASSIVE! MASSIVE, do you hear? 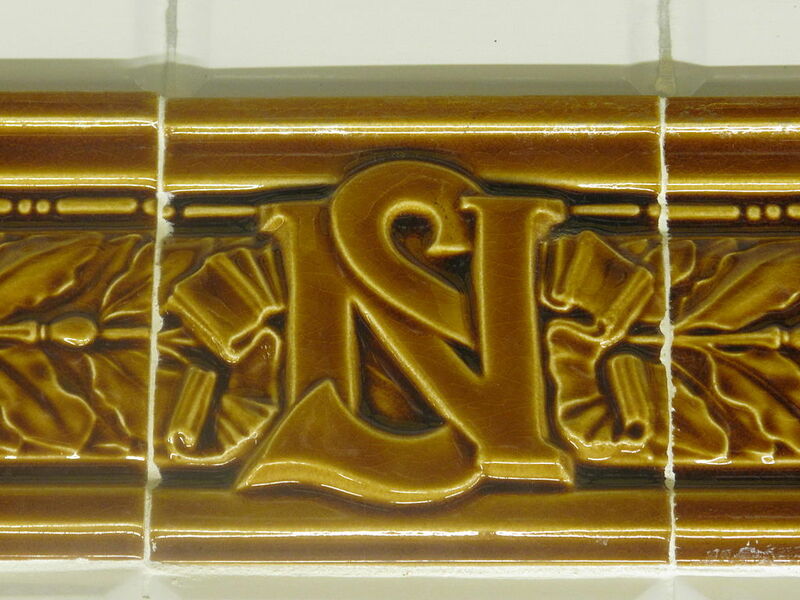 The Nord-Sud monogram was incorporated into frames surrounding advertisement spaces and the station names in the form of moulded ceramic tiles of Art Nouveau design. And then he used ceramic tiling for other wayfinding within the stations. Other tile designs were used along the corridors. Bechmann even developed a colour-coding for the stations, which you’ll notice above. Green detailing was for terminal stations, and those where you could interchange with other lines. Brown was for ‘ordinary’ (non-interchange) stations. Madeleine station was, uniquely, colour-coded blue, but no-one seems to know why. The colours were included as bands of coloured tile across the station roofs, and as borders to the massive (did I mention they were MASSIVE?) station name signs. So, one look at the station name told a Parisian traveller whether they could change to another route, or whether this was a station from which the only exit was up to the street. Wait a minute, bands of coloured tiling, large ceramic tile mosaic station names, decorative moulded tiles? This all sounds very Leslie Green. I’d love to know whether Green inspired Bechmann, or if they both came up with their ideas independently. Clad in ceramic tiles, columns with sort-of-Corinthian leafy capitals support a groin-vaulted roof over the circular ticket hall. The tiling on the columns is quite outstanding. Rectangular white tiles run vertically, separated by smaller orange-brown mosaic tiles, while the white tiles at the top of the columns are decorated with stylized green flowers. There are also (and why not?) small green ceramic studs placed around the columns (there’s a great photo of all this detail, here). Uplighters in the capitals bounce light off the reflective tiles which cover the whole of the ceiling. If you’re not expecting it, coming across the rotunda is absolutely breathtaking. It’s like discovering that a Turkish baths has suddenly found its way into the Métro, and an architecturally dramatic one at that. All this ceramic loveliness clearly riled the CMP, which responded by taking things to the next level with improved styling at its subsequent stations. If the Nord-Sud could have giant ceramic mosaic station names then the CMP was going to have them too; although they never did quite match the scale of Bechmann’s. Meanwhile, the CMP took one look at the moulded tiles which surrounded advertising poster spaces on the Nord-Sud platforms, and decided that they could do better than that, with even more extravagant floral moulded tile surrounds than Bechmann had managed. If styling and decoration was going to be a key factor in the transport offer under Paris, the CMP was determined to stay ahead. The two companies had got themselves into an art race. Who knows where it might have led had not the finances of the Nord-Sud been unsustainable pretty much from the off. Having planned to build three lines, the Nord-Sud was only able to complete two, and by 1930 the game was up. By mutual agreement, the CMP absorbed the Nord-Sud. The CMP’s lines eventually became lines 1-11 of today’s Paris Métro, while the Nord-Sud’s became lines 12 and 13. 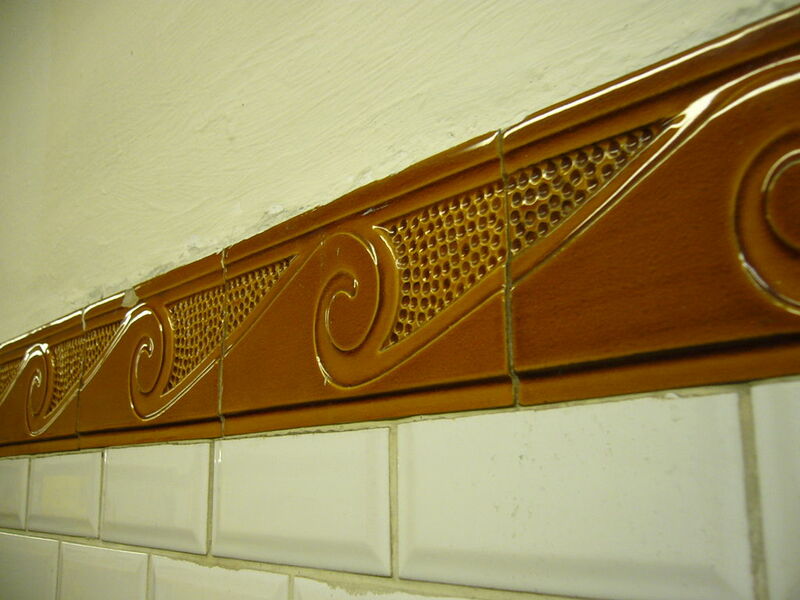 Most of Bechmann’s tiling schemes have been lost to redecoration though a few stations still have them in place. 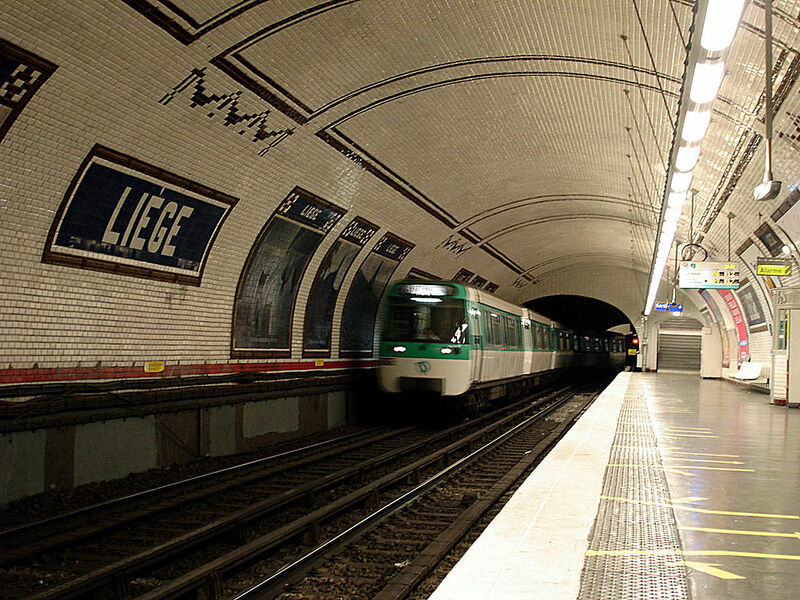 Pasteur station does the double; an interchange between lines 6 and 12, it still has Nord-Sud tiling on its line 12 platforms, and a Guimard Art Nouveau entrance on street, thanks to its place on the CMP’s line 6. And at Gare Saint-Lazare, the Rotonde itself remains, as exotic and wonderful and surprising as any metro ticket hall you will ever see. If the Nord-Sud never did quite eclipse the work of the CMP in setting the visual agenda for Paris’s Métro, it certainly wasn’t for want of effort. The green arrow marks the entrance to the Métro station at Gare Saint Lazare. After that you just wander around for a bit in the general direction of Line 12 until you come across it. Hardy, Brian, 1999. Paris Metro Handbook. Harrow Weald, Capital Transport Publishing. 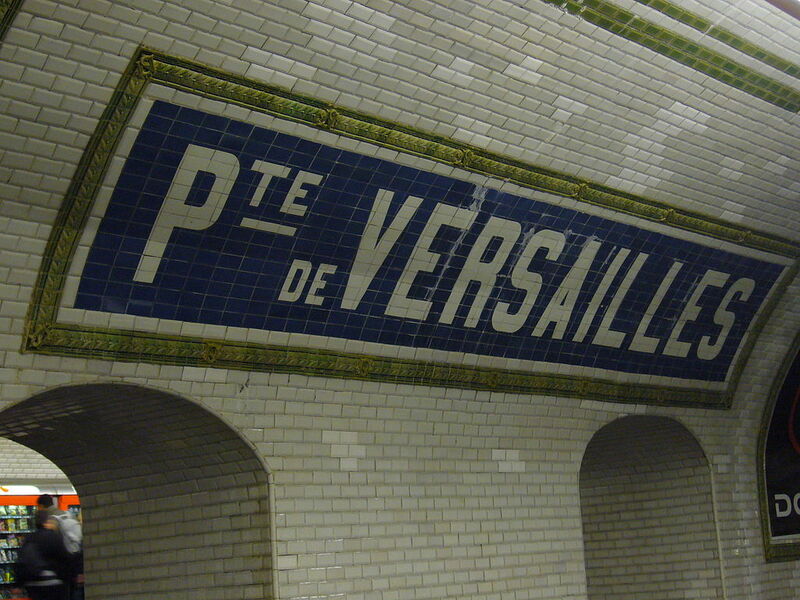 It always seemed to me that the tiling design, was more influenced by the New York subway system; their station name tablets and colored bands of tiling running along the walls. Although the “NS” designs, the deep colored green, and the bands of shaped tile, such as Marie D’Issys waves in brown, might indeed owe an influence to Leslie Green’s work in London. There is (or maybe was) a French Nord Sud site, which contrasts a photo of Line twelve’s tilework, with a photo of tiling in a Brooklyn subway station.